Manchester based duo Gary Hilton and Steve Southern are a songwriting duo who know how to make an impact. 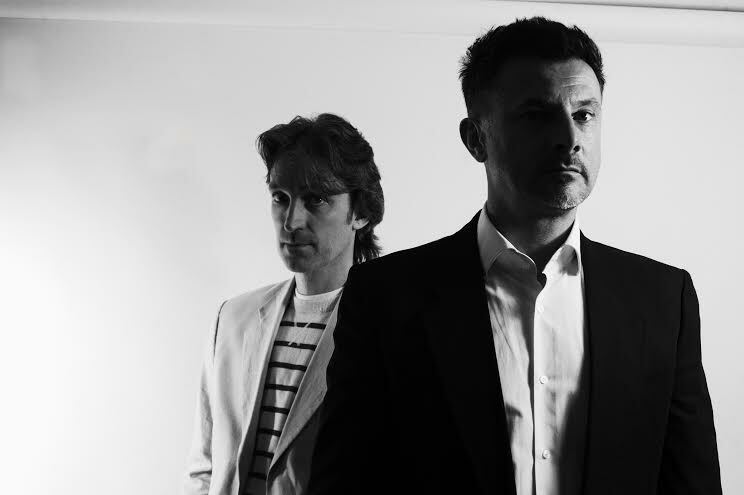 Marrying the classic 80s sounds of the New Wave to contemporary production values, their groove led, synth heavy tunes are dripping with atmosphere, rightly described by the band themselves as a ‘Burlesque groove’. It’s a phrase which perfectly sums up the retro stylings and the filthy rhythms of both the band as a whole and their upcoming single ‘Mmm mmm mm aah’. Influenced by the likes of New Order, Depeche Mode and Joy Division as well as the theatricality of Gorillaz. An extremely talented pair with legitimate pedigree in the industry their fans include Factory Records founder and New Order collaborator Mark Reeder and Mercury Award nominated producer Dave Maughan (Maximo Park, Kathryn Williams) who even leant a hand with the production process. Experienced hands who know their way around the music business, this is a crowd who aren’t easy to impress, yet Modern Family Unit do it thanks to an old school approach based on both talent and respect for the music. On top of that, the pair have a fiercely independent streak which prevents their tracks from sounding like everything else out there. Previous experiences with a record label – a two album deal just over ten years ago – ended badly, leaving a mistrust of the mainstream way of working. As Modern Family Unit, they’re now looking to make their own way as a pair who know they have each other’s backs. And it’s a method that’s working. With a TV ad sync deal in the pipeline and great connections within the industry, Modern Family Unit are a band you’re likely to be hearing of sooner than later. New single ‘ Mmm mmm mm aah’ will be release on March 23rd, with the album ‘Religion’ to follow on April 27th.